We used to talk more about “regeneration” in the Church, that is, the need to be born again. Perhaps the concept of being born again garnered too many negative connotations due to the disappointing lifestyles of so many who claimed to be born again. Regardless, it is important that we teach what Jesus taught, “you must be born again.” That is, we should avoid leading people into believing that Christianity is primarily a reformation project. Reformation projects teach, “Just do a little better, improve yourself, God will be pleased and the world will become a better place.” This project is predicated solely on self-improvement. Humanity’s fallen condition, apart from rebirth, precludes this possibility. Reformation projects are hopeless in that they are akin to dead people trying to raise themselves from the graveyard. Rather the Christian faith is a regeneration project. It is initiated by God in Christ and completed through the power of the Holy Spirit. It is predicated solely on Christ's work on our behalf. God acting in Christ regenerates us. God’s regeneration project teaches, “You are a dead person walking. Only Jesus Christ can resurrect your life.” Humanity cannot birth itself out of spiritual death into spiritual life. Rather, this is work that must be accomplished from One who comes from outside our fallen world; who pre-existed in a realm of eternal light, holiness and divine power. This One, Jesus the Messiah, is born into our world in order to regenerate us, that is, give us second birth. Therefore, the first priority in Christ’s mission on earth is to proclaim the Good News of regeneration that comes through a power alien to our own. This is our message. This is our hope. When people respond by receiving the Savior, submitting to His rule as King, they are born from above and become God’s children (John 1:12-13). 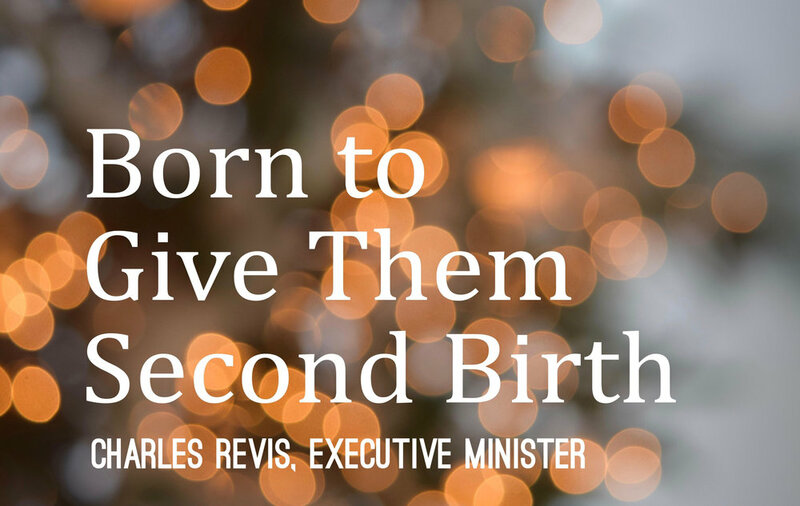 We rejoice in Jesus in this Advent season as we reclaim the Good News that Jesus was “born that man no more may die; born to raise the sons of earth, born to give them second birth."